Many people associate a fireplace with a nice, cozy home to relax in during the colder months. They might remind you of the home you grew up in, or cabin you visited for vacations when you were young. No matter how you remember them, fireplaces and the mantels that surround them have been around since fire was harnessed by our ancestors thousands of years ago. We at Stone Masters have a fantastic selection of fireplace mantels that we offer in our Toronto showroom and we also ship them internationally. We build our fireplace mantels both locally and internationally, and they typically take ten to twelve weeks to arrive after purchase, but the quality and craftsmanship our artisan builders put into each mantel they create is well worth the wait. Our prices are extremely competitive and electing to have your mantel built overseas will reduce the cost significantly if you are looking to upgrade your current fireplace with a budget in mind. Nothing paints a more comforting image of your home than a roaring fireplace outlined by a beautiful stone fireplace mantel during the holidays. We enjoy creating those images in the home of our customers and if you give us a call, one of our professionally trained customer service agents will be happy to discuss the options we have currently and what type of mantel will work best with your décor. The colour schemes we offer are variations of white for the most part, but we do offer light browns and a few beige options right now. Our international buyers are always searching for new stone surfaces and colours, so please check our website frequently for updates! Stone Masters fireplace mantels are study designs that can hold up to the abuse of an active household and frequent fireplace use. We only offer the highest quality of carved stone for our mantels and encourage you to review our customer testimonials and give us a call to experience our award winning customer service for yourself. No matter if you are having your mantel built here in Toronto or overseas, you are a Stone Masters customer and that guarantee covers you and your purchases so do not hesitate to call us if you want an update delivery schedule or progress report. Toronto is a northern city that receives a lot of cold weather each year, so fireplaces are common and can play an integral role in keeping your home warm and comfortable during those colder months. For this reason, your fireplace is a focal point for your family and guests, so why not give it the premier treatment by matching it with a beautiful stone mantel that will serve you and your loved ones for years to come. Nothing makes a home cozier than a fireplace. With the right mantel, you can relax in an attractive environment. It can get really cold in Canada during winter months, so it’s always nice to have a fire to warm up to. 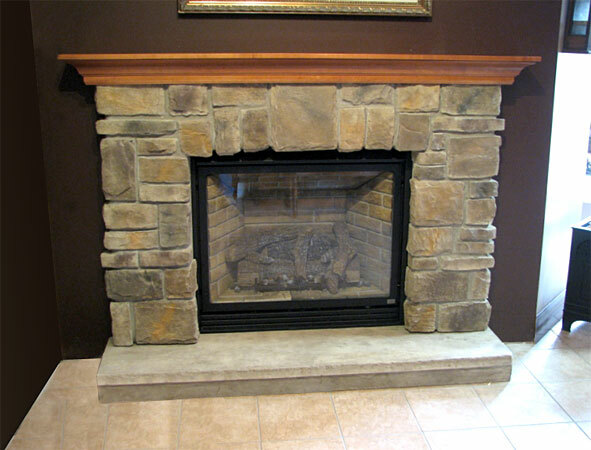 Stone Masters is proud to offer quality fireplace mantels in Toronto, made of quality materials such as marble and travertine in various styles. Investing in a mantel is a great way to add character to your living room and increase the value of your home. 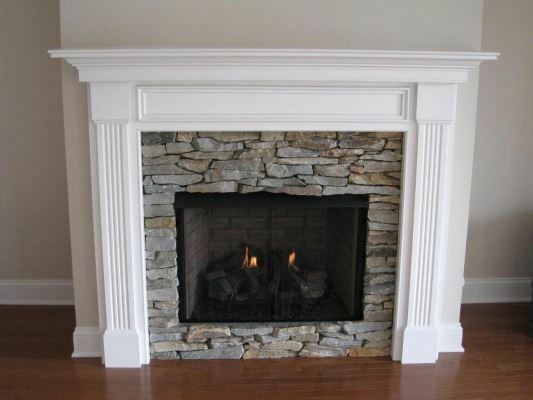 For many homeowners, the purpose of the mantel is as important as the appearance. This decorative piece acts as a crown or anchor to the fireplace visually, and can be used as a decorative display area for artisan décor, seasonal decorations, family photos, etc. When shopping for a mantel, try to envision how it will look with decorations during holidays, or if it would look better left bare. The fireplace is often the focal point of the room it’s in, so guests WILL notice the mantel. This is why the design selection is so important. You don’t want anything that looks out of place or cheap. The mantel should complement the furniture and colour scheme of the area surrounding it. The backsplash should suit the mantel as well. Whatever type of stone material you prefer, you have a number of choices in colours such as brown, ivory, beige, and gray. Our Noche dark brown mantel is ideal for a contemporary home. We also offer Roman-inspired designs if you are after a classic look. You can have majestic-looking Roman columns on either side of the fireplace. Limestone light beige is a refined and versatile option that looks great in both traditional and modern settings. It’s also a cost-effective option when compared to solid stone. While it’s somewhat heavier than other materials, limestone is not at all difficult to transfer or install. Polished gray andesite is a very sophisticated, yet rare option for a fireplace mantel. It looks best in rooms that have a lot of colour. 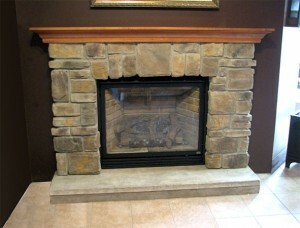 This hard, dense stone is an excellent choice of a mantel, due to its resistance to hot temperature. We offer several other styles, including classic beige, ivory light beige, and Crema Nuova Beige. Whichever mantel you choose, it should be the ideal size for your fireplace. If it’s too small, it will look awkward. If it’s too large, it can overpower the room. 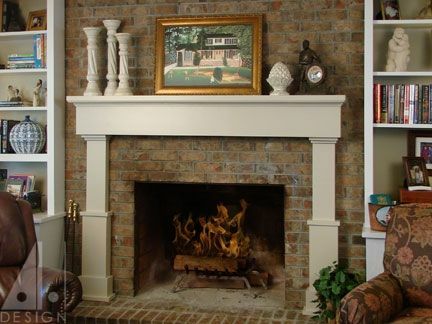 Our selection of fireplace mantels is large enough that it should be easy to find the product you want. However, if you want something more unique, all you have to do is contact us and inquire about custom services. All of our mantels are durable enough to withstand frequent fireplace use. Speak with one of our professionally trained customer service representatives to learn more about your choices. We will help you decide what kind of material and design will work best for your living room. Whether you’re interested in one of our several designs or want something custom-made, contact us today for a free quote.